MACON, Ill. – After introducing the class at Macon Speedway this season, the legendary race track will add B-Mods to the racing lineup on the season finale Saturday with the World Hornet Championship presented by DynaGraphics and ILMO. B-Mods will race at Macon Speedway for the sixth time this season, and the class has grown steadily during its inaugural campaign on the fifth-mile high banked oval. The B-Mods division is a fast-growing group of cars designed as a cost containment series, allowing drivers to compete in thrilling racing on a limited budget while also providing the door-to-door action that entertains the fans. The addition of B-Mods to the lineup boosts the program to seven classes of competition on the final night of the season as drivers go for championships and a strong finish in the final standings. On the season finale for Macon Speedway Saturday night, drivers go for championships and trophies while the fans get a chance to go home with a prize – or maybe the experience of a lifetime. Macon Speedway will hold a free raffle where one lucky fan will win a ride on the two-seat Late Model. There will also be plenty of gift certificates and prizes handed out. DynaGraphics will also hold a contest for a $500 voucher good toward any product in its lineup, including a vehicle wrap. ILMO Products will distribute coupons to the first 1,000 ticket holders for a free pair of OSHA approved sunglasses. The Outlaw Hornets will race in a $300 to win feature plus the chance to take home the Outlaws championship trophy – a definite keepsake for any racer. This is the same style of trophy the guys get when winning on the state fair miles. The Stock Hornets will also run for the Championship trophy as the class gets some of the spotlight at the famed fifth-mile high banked dirt oval on the final night of another spectacular season. Billingsley Towing Modifieds, Street Stocks, Sportsman and the Illinois Lightning Sprint Series will also race. Gates open at 5 p.m. with racing at 7. For more information, follow Macon Speedway at (www.maconracing.com), Facebook (www.facebook.com/maconracing) and Twitter (@maconspeedway). It’s easy to join the Macon Speedway text service. Fans can text MSFANS to 74574 to receive fan information. Drivers can text MSDRIVERS to 74574 to receive driver information. Message and data rates may apply. Updates are also available by calling Macon Speedway at 217-764-3000. 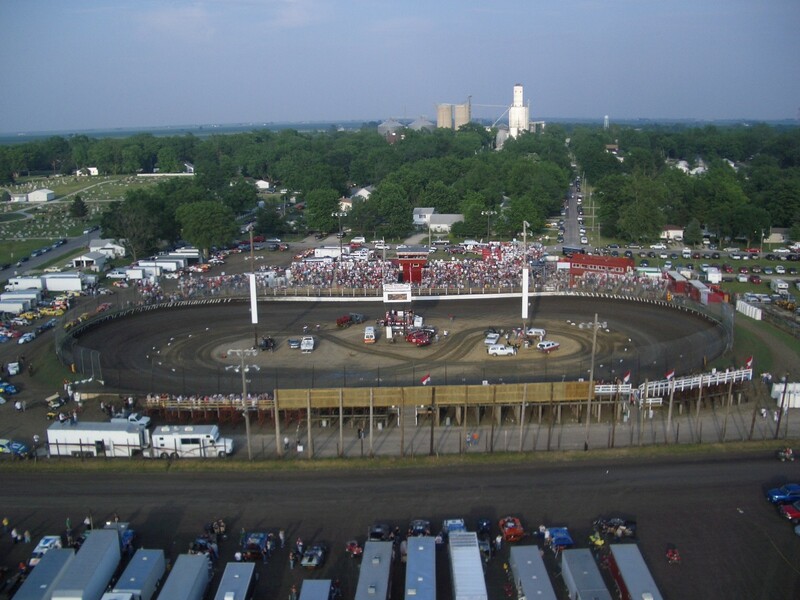 Macon Speedway is located nine miles south of Decatur on U.S. 51, then 0.6 miles west on Andrews Street and south on Wiles.